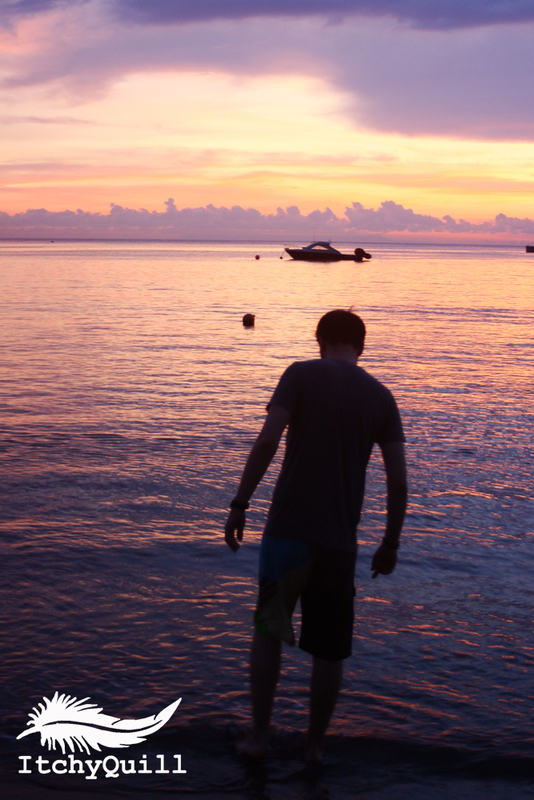 The first time I visited South East Asia I was a fresh faced 18 year old boy wearing trousers too big and t-shirts too small. I stayed in Singapore for a hot summer while I sweat out half my bodyweight in the humidity, until a friend and I made a quick trip to Bali. Nothing quite prepared me for the contrast from the futuristic smartness of Singapore to the grotty, dusty paradise of Bali. The smell of clove cigarettes and the sound of surf in the air became backdrops to future daydreams, and both would stay with me for the rest of my life. Poles apart, I was captivated more and more by this tiny island pearl with it’s purple and orange sun sets, intoxicating party scene and relaxing atmosphere than with the urban majesty of where I had flown from. Something called to me from that island, and I got my first taste of a world I would spend the next decade exploring. This year marked the ten year anniversary of my first trip to SE Asia, and I have made many trips, trails and travels around this great continent in that time. As followers of IQ will know, the team and I have been in Indonesia for the past fortnight. So what better way to mark a decade of travelling than to share some Itchy Quill reasons to visit one of South East Asia’s greatest countries?! Who doesn’t love a beach? Ok, so there are some among us who are merely food for the sun, and any venture out into its blistering rays can lead to an instant state of lobsterfication with a crispy char; but don’t let that stop you experiencing the wonders of some of the magnificent coastline! Indonesia is the largest archipelago in the world, consisting of over 17000 islands. With so much coastline, it is no wonder that some of the world’s most beautiful beaches can be found there. Strangely, considering the climate, there are few sharks to worry about too. In fact, since 1984 there’s only been five reported shark attacks, and four of those happened near Bali. With so many beaches, it should be pretty easy to find a spot of your own so you can have pearly white sand, clear blue water and clean fresh air all to yourself. Of course, islands aren’t just there to birth to the world some stunning beaches. As mentioned before, there are some 17,000 islands across Indonesia. Around 6,000 of these are populated, with around 1,000 permanently settled. 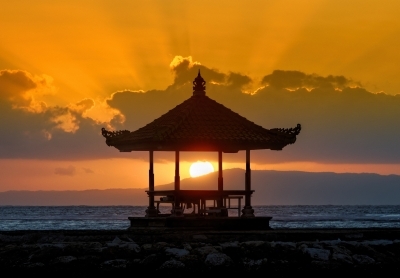 This gives Indonesia an eclectic mix of religions, cultures, traditions and people. Each island has its own identity, and seeing how Indonesians are able to maintain their cultural distinction in an ever modernizing environment is a highlight on its own. When the Majapahit empire spread itself across the islands of SE Asia nearly a thousand years ago, they established the framework for the current borders of Indonesia. As a result, we see so many vastly different peoples united under one flag. This diversity breeds a stunning testament to the earth itself, and the progress of the people within it’s boundaries. This eclectic mix affords the modern traveller a rich opportunity to experience the world of the other. Many islands have earned themselves different reputations, and it should be a breeze to ascertain for yourself which island matches your personality. There is definitely something in Indonesia for every taste; Java has it’s volcanoes and temples, Bali offers a popular party scene or reflection in its many ashrams, Lombok has beaches and peaceful surf, the Indonesian part of New Guinea has great scuba diving and a rich and thriving tribal history, while Borneo contains vast rainforests and great trekking. That’s not all; with Sulawesi, Sumatra, The Moluccas, The Banda Isles… and many more, you’ll surely be able to find an islands paradise that can offer you exactly the trip you want, from relaxation to adventure! 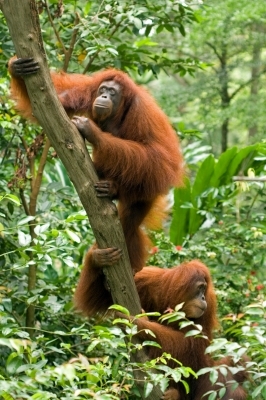 Indonesia can boast the largest rainforests in all of Asia, and as recently as 1960, 80% of the country was forested. Unfortunately, as the world’s demand for commodities such as pulp, palm oil, paper and plywood grows, and factors such as political corruption, uncertainty on land ownership rights, and poorly enforced environmental laws take effect, it is estimated that only just more than half of Indonesia’s original forest cover now is remaining. Indonesia, sadly, has one of the highest rates of deforestation in the world, with conservative estimates putting the figure at 2.4 million acres being cleared a year! To give you perspective, that’s the area of 1.3 million football pitches, or 2847 Central Parks! What makes this even sadder is the fact that with deforestation comes the removal of natural habitats for animals. As this area is wiped out, so too are the various creatures that call it home. Indonesia’s diversity is world famous, with such flagship animals as the Sumatran Tiger, pygmy Elephant, Orang-utan and rhino. It’s not too late to save it. Do you want to have to describe what a tiger looks like to your perplexed grand kids? The first time I tried nasi goreng (literally ‘fried rice’) it blew my tiny mind, but since then I have managed to consume a whole variety of other culinary wonders from this fair country. Historically, Indonesia is the home of many spices we now know as standards, such as nutmeg, cloves, pepper and mace, hence how it was known as the home of the ‘Spice Islands’ to Dutch and English traders of the past. Within Indonesian cooking, these are combined with many other taste sensations such as vinegar, lime leaves, ginger, turmeric and chilli to create the distinctly Indonesian cooking style of contracting flavours (spicy, sour, sweet, hot) and textures (wet, coarse, spongy, hard). If you’re going to try anything, try sambal (a spicy sauce) and satay (chicken and peanut skewers). As the third largest producer of coffee, Indonesia is a great place to grab your morning mud. In fact, the expression ‘a cup of Java’ comes from the name of one of Indonesia’s islands where initial coffee plantations were established. You can also find a special coffee called Kopi Luwak, or ‘civet coffee’, made from coffee beans that have been eaten and then pooped out by a civet. Yes, it sounds gross, but it is actually supposed to be more intense as the chemical reaction inside the animals digestive system heightens the quality of the bean as many of the bad bits are removed; something for the bucket list! Though coffee is not indigenous to Indonesia (having originally been taken there by The Dutch East India Company in the 17th century in an attempt to break the Arab monopoly on coffee trading), it is very much a part of the fabric of modern farming and an integral part of social life. Woven into the fabric of society in a similar way to the USA, make sure you take the time to check out some of the wonderful independent coffee shops. Be aware, due to it’s extremely fertile soil, Indonesia is home to some of the most delicious fresh fruit imaginable. 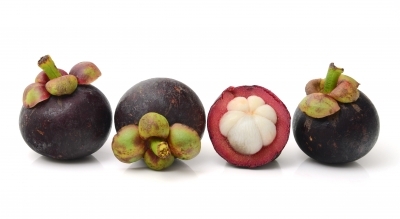 One such fruit, the Mangosteen, is so addictive that one member of the IQ team consumed 20 in four days. Prepare yourself! Nothing says badass quite like an animal that lives on a tiny island surrounded by tiny prey that still evolves to be a giant monitor lizard destined for fame as a bond villain pet. 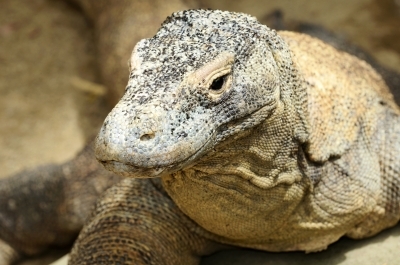 That aside, these wonderfully unique creatures call the island of Komodo their home. It is not a huge trip to get to their conservation area from Bali or Lombok, making seeing them in the wild an easy thing to tag on to your trip. South East Asia is awash with various traditional techniques for massage, from the traditional Thai style to the Chinese rub down. Yet Indonesia is one of the best places to get great value for money in this regard. Throw a stone and you’ll hit some form of spa or massage parlour in most of the tourist areas, and a particular highlight would be getting a massage on the beach, the sun warming your back while the sea spray and rolling waves fizz in the background. To give you perspective, it is possible to get a full body massage for around $4 for an hour. Surely, that alone is worth the flight there? Stretching across three tectonic plates (Pacific, Eurasian, Australian), Indonesia is home to one of the highest concentrations of active volcanoes, and regularly experiences other seismic activity. In fact, it is due to this seismic activity that Indonesia even has so many islands to begin with. This natural activity is not always birthing new lands, but can sometimes take away also. In 2004 it was badly hit during the Indian Ocean tsunami. Thankfully, seismic events on a scale like that are rare. 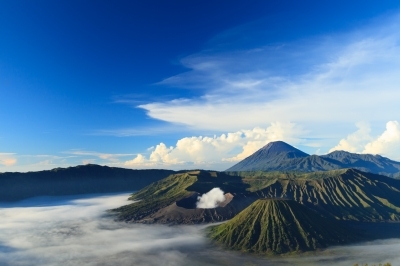 150 active volcanoes call the archipelago home, most famously Krakatoa, Tambora and Toba. If you visit Java, the most popular volcano to visit seems to be Mt Bromo, though be prepared to rub shoulders with what will feel like everyone in the world if you try to catch the sunrise there, as it can be incredibly crowded during peak times. 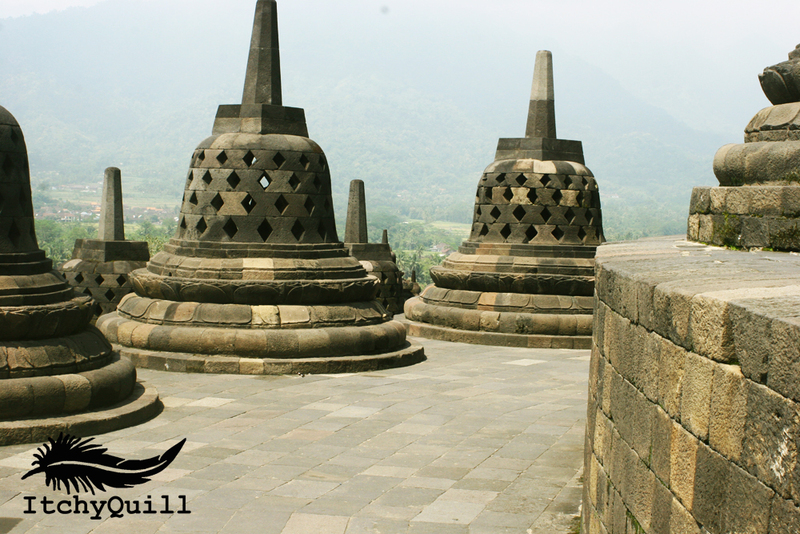 Candi are the Buddhist and Hindu temples of Indonesia built between the 8th and 15th centuries. Their rather unique look makes them great photo fuel, plus most are quite easy to get to as drivers for hire can be pretty cheap. Many areas have their own specific temples, though if you find yourself in Jogjakarta, Prambanan is a UNESCO listed site that boasts some of the greatest examples of Candi architecture. It is an hours drive away and is definitely worth visiting. Borobudur is another such place, though on a grander scale. Many compare it to Angkor Wat in Cambodia, though the two should only be talked about in the same breath to emphasise how other temples are dwarfed in comparison. Truly, Borobudur is such a wonderful sight, and my mind melts when I think of the hardship the initial builders would have faced constructing it in the gruelling tropical heat and humidity generated by the pounding sun and surrounding rainforest. You truly get a sense of the holy, even if you are not spiritually inclined, and standing at the top to take stock of your surroundings only offers you further reflection and enlightenment. That is, until random groups of teenagers come and ask for a photo with you. Smile and enjoy it, as you may find yourself more of a hit than the venue itself! Be quick and you can take a photo without any tourists! And so we reach the last point; the fantastic people of Indonesia. Their warmth, banter and friendliness make this country an absolute treat for the traveller, and many times I found myself awed at the kindness of strangers. 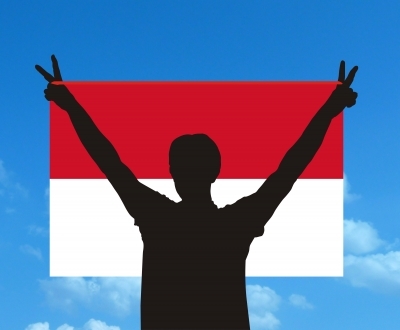 With 250 million people calling Indonesia home, and the government recognising 6 major religions, it is an eclectic melting pot of values, beliefs, cultures and personalities that make for some wonderful experiences. As English and Dutch are still widely spoken, and as the official language, Bahasa Indonesian, uses the same alphabet as English, it can be quite easy to find your way around. If you enjoy haggling, you’re in for a treat too. 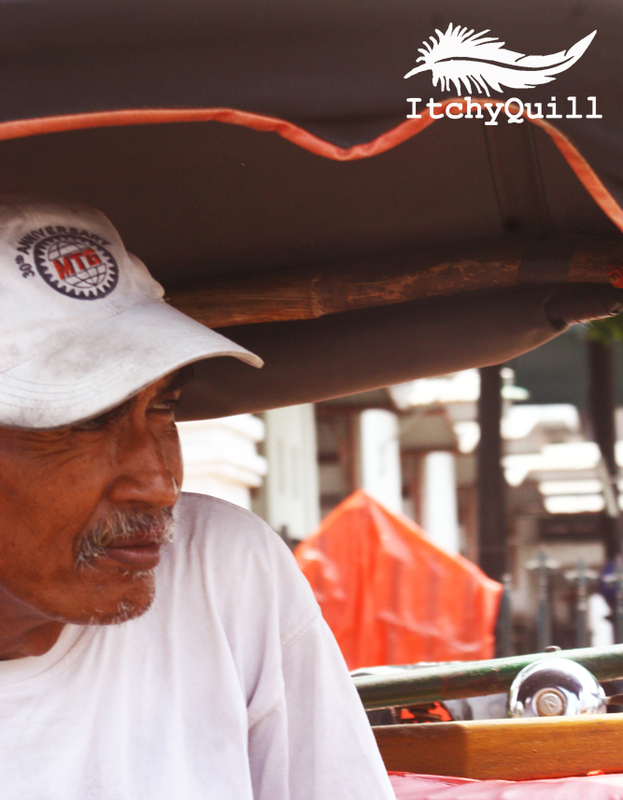 People are good sports, and haggling is very much a part of how to purchase in many market stalls and with taxi drivers. I say smile and have fun! So what’s stopping you? Grab a rucksack, get on a plane and go and experience it for yourself. Don’t take my word for it! Have you visited Indonesia? How was it for you? Is there something missing from this list that should definitely be here? Is there a place you loved visiting that you want to share? I’d love to hear about your experiences too! Special thanks to antpkr, M – Pics, marin, njaj, papaija2008, suwatpo and Vlado @ FreeDigitalPhotos.net for use of their photos in this blog.